Our Ongoing Specials for this Month! Tampa Lawn and Pest Control is devoted to just one thing and that is Customer Service. We are committed in providing Quality in everything we do. We take pride in knowing each and every customer by name and the service you need. We are Lawn Spraying Artists with a passion for clean, vibrant and healthy lawns. Our systematic lawn care approach is perfect to get your lawn to where it needs to be and keep it there. Our Pest and Termite Elimination Services is better than everyone else because we use a Smarter Simplified Method in addressing the problems you face. Pest Control in Tampa is diverse and unique and we know how to do it! Our goal is to treat your house and keep its occupants healthy. Our formula is safe for humans and pets. We also maintain the quality of our products so you can be certain you are receiving what you need to keep the pest away. Pest Control Tampa and the surrounding areas are prone to pest of all kinds and you need a technician who knows how to exterminate each one. There is no "one-size-fits-all" method when it comes to the variety of bugs in Florida. Contact us today to discuss your options and let us help you get that peace of mind. Caring for your lawn is an integral part of adding value to your home. Lawn care has many facets of course. There is the feeding, watering and trimming that is all part of creating the perfect yard. Our Tampa lawn care service in primarily involves giving your lawn the best nutrients at the right intervals. 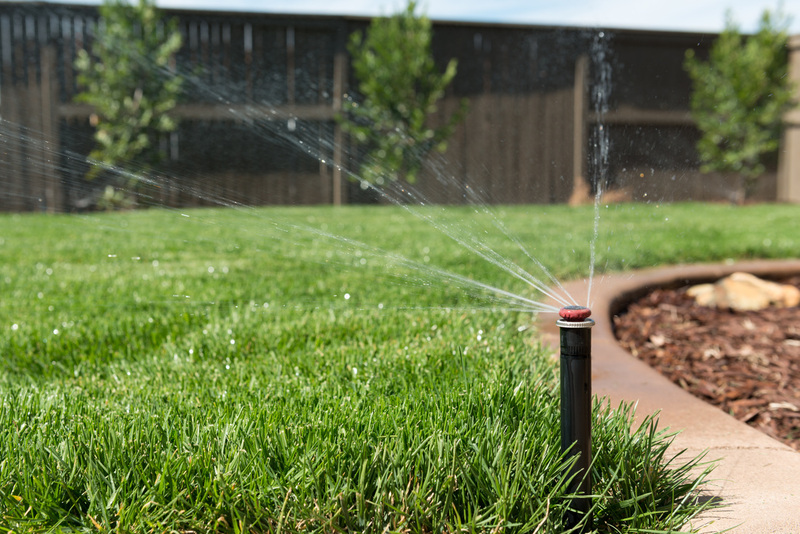 You will need a working irrigation system to keep it watered. We know great lawn cutting services as well who do a great job. Read below to learn more about our mission and services. Why is Lawn Spraying in Tampa so important? Maintaining your lawn is part of a comprehensive approach to establish a bug free zone. Your lawn is naturally their turf and domain. It is up to you to say who gets to control it. In addition to that, keeping your lawn lush and healthy will make your home attractive. It also adds value to your home and makes an inviting atmosphere to be outside and enjoy the outdoors. Our staff of lawn spraying experts will come and assess your lawn's needs to create a feeding schedule that will produce the best results. Unlike the bigger national companies, we pay more attention to detail. Lawn spraying is also safer with us because being local to the Tampa Bay area we take pride in taking care of our city. Click here to view our lawn spraying page. Our rates are based on the quality we provide. There are some who will be cheaper but we feel they are giving you an inferior service. Our namesake and reputation has survived because we stay consistent in approach. You will always get the best deal when working with Tampa Lawn and Pest Control. Your beautiful Lawn begins here! There is nothing more attractive from a business image standpoint than its landscaping. Palms, schrubs, plants and of course green green grass goes a long way in showing your customers you are a professional member of society. We with restaurants, office building, medical properties, healthcare facilities, sports venues, car lots and more. Tampa Lawn and Pest Control can be there to assist you with any business lawn care need so you can enjoy catering to your customers. Tampa Pest Control is really Necessary! Disease and damage can be due to bugs and the cost to treat it is less that the cost to treat the symptoms. Your home or business depends on a clean environment and you need a dependable company to get you there. Tampa Lawn and Pest Control has the tools and 10 years of expertise. There isn't a foe we haven't seen and defeated in the bug world. Florida has its share due to the warm and wet environment. Yes the sheer size and population of Tampa requires many to exist. In the same way there are many grocery stores. We know we can't provide service to every person in the Tampa Bay Area but we also know there are very few who are the best at pest control. You should choose one based on referrals and reviews. Choosing one based on the reputation is the best way. Also check their status with licensing in the state. Termite Control Tampa need very little introduction and explanation. They are terrors to your home and cause billions in damages every year. They are tiny, hungry and reproduce at a fast rate. There are drywood termites and subterranean termites. Both need a different approach and method in eliminating them. Subterranean termites reside outdoors. They travel in the ground to get wood from your home. This process involves baiting the workers to bring the food back to the colony and killing them. Drywood termites need less moisture so they live indoors in your structure and bore into the wood 24 hours a day. We have an injection system that leaves no traces in your walls and eliminates them effectively. Plus the application can last for years so you can have peace of mind they will not return. If you feel you may have a termite infestation then contact us right away!